« Did India’s Su-30s were able to see Chinese J-20 Stealth aircraft? Since idrw.org report has been mentioned and quoted, we like to make avail further information on the topic for better understanding of the topic, since we have been bombarded with E-Mail for more details from all sections. The article in Question was pen downed by Abhoy Roy for ” MY TAKE ” Section where he had only speculated How Indian Su-30MKI might have detected J-20s after IAF Chief confirmed that Su-30MKI Can Detect J-20 in Recorded Media Interview after Conclusion of IAF’s Gagan Shakti Air Exercise. Please find Direct Link to the Original Article and also to Original Video where Indian Air Force chief Birender Singh Dhanoa while addressing a press conference in Punjab’s Halwara made that comment. Since it is in Hindi and lot of our International Readers might not be able to understand it, we have also provided Translation from Hindi to English Below. Indian Reporter ( 0.05): How much threat we have from China? Since China said they will not give even an inch anywhere and they on the border are building Roads! , So What will you like to say about it? Indian Air Force chief (0.18): Our forces deployed in the northern border are capable of taking on the Chinese threats, as per airforce to airforce goes you will know that in Tibet they have more problems in comparison to us since their airfields are at high altitudes and also they don’t have required infrastructure. 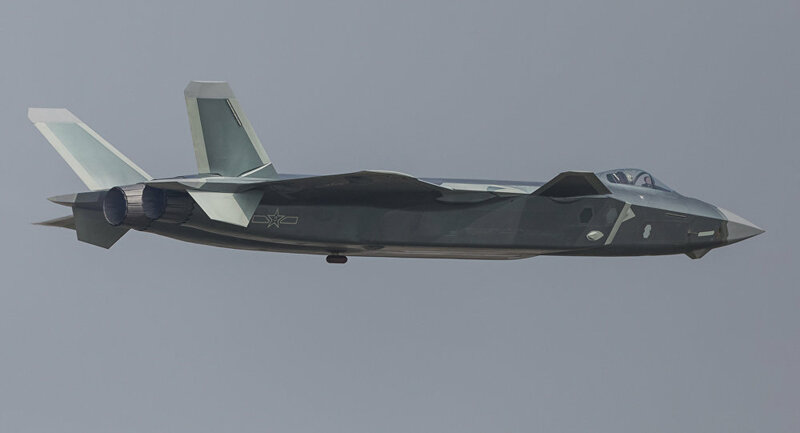 Against China, our air force is on the Strong wicket and our new induction process are more than adequate to take on the J-20. Indian Air Force chief (1.03): Nooooh , It is not, it is not, how do I say it, it not so stealthy that it can’t be picked up by any radar, Your Su-30 Radar (referring to IAF’s Sukhoi-30MKI) is good enough and can pick it up from many kilometers away. The discussion ends at 1.16. We will let our Readers Discuss and comment below.